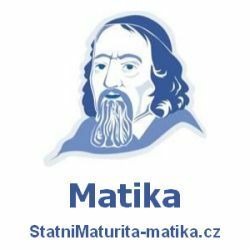 Odpověď by měla obsahovat fakta o tématu Skotsko. Where in Britain is Scotland situated? Tell me about it. Is Scotland a lowland or a mountainous country? Tell me about it. What does the typical Scottish countryside look like? Tell me about it. Which things cross your mind when thinking about Scotland? Why? What is the typical Scottish uniform like? Tell me about it. Do you know any famous Scotts? Tell me about it. What is the capital of Scotland? Tell me about it. Is Scotland a dependent or an independent country? Tell me about it. Which event in the Scottish history do you consider significant? Why? Tell me about it. What is the origin of Scotts? Tell me about it. What are the symbols of Scotland? Tell me about it. Which lake in Scotland is mysterious and why? Tell me about it. What is the Scottish music like? Tell me about it. How can you get from Edinburgh to London? Tell me about it. Is Scottish English the same or different from English spoken in e.g. England? Tell me about it. Which typical Scottish product can you mention? Tell me about it. What is the weather like in Scotland? Tell me about it. Which natural monument do you think is the most significant in Scotland? Tell me about it. Which currency is used in Scotland? Tell me about it. What is the Hadrian Wall? Tell me about it. What is the name of the highest peak in Scotland, and in Britain? Tell me about it. Which place in Scotland would you like to visit? Why? Tell me about it. Would you like to travel in Scotland? Why? / Why not? Would you like to try wearing a kilt? Why? / Why not? Would you like to work in Scotland for a while? Why? / Why not? Do you know any typical Scottish words? Tell me about it. Jak si s tímto zadáním o Skotsku poradíte Vy?